Kungsleden AB (publ) has decided to relocate its head office to premises in its own property on Warfvinges väg 29-33 on West Kungsholmen in Stockholm. The relocation is expected to take place in August/September 2015. Since 2011, Kungsleden’s head office has been on Vasagatan in Stockholm. However, as part of the new strategy to be a long-term property owner the decision has been made to move into an own property. The property is situated on the central boulevard Warfinges väg where several large companies have located their head offices, among them Skanska. 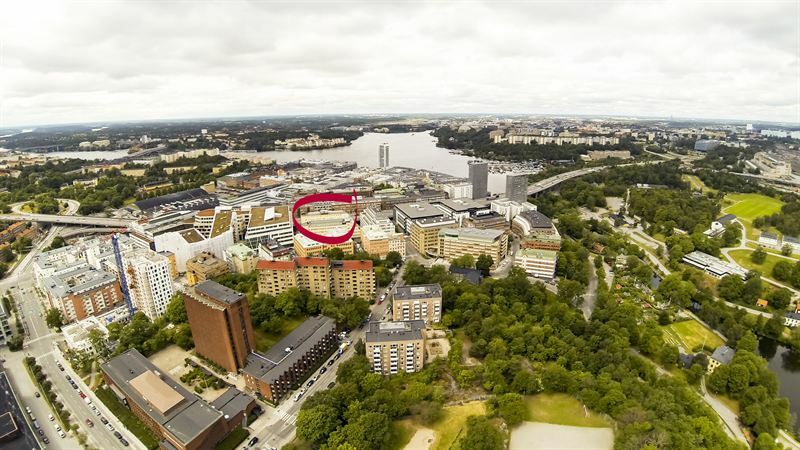 “As one of Sweden’s largest property owners focused on real estate in the commercial sectors offices, industry/warehouse and retail, it’s obvious that our head office should be located in one of our own properties. We need to practice what we preach. Our property on Warfinges väg is situated in the middle of an area bursting with life and change, which matches the new Kungsleden perfectly”, says Biljana Pehrsson, CEO at Kungsleden. The entire area is undergoing a transformation, which once completed will include 20,000 homes, around 35,000 work places and several new restaurants, shops and service offerings. The office will be refurbished in order to suit the head office’s needs, focusing on open social space, areas for creative meetings as well as an office environment which encourages cooperation and dialogue. “It’s important that the head office reflects the new Kungsleden and breaths the profile and values we live by. It also needs to stimulate an increased cooperation between personnel, but also be a place which we are proud to show to colleagues, customers, investors and other important target groups”, continues Biljana Pehrsson. The information was provided for public release on 9 October 2014 at 7:30 a.m.